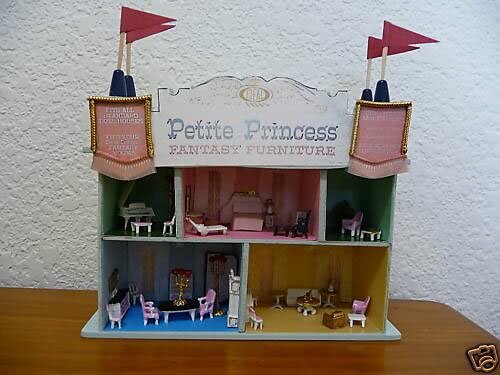 Petite Princess Fantasy Furniture Mini Replica – Hello Adorable! OK miniature lovers. Get read for a mind blowing double whammy of adorable-ness. Some die-hard miniature maker has created a five-inch-high 1:144 scale replica of the Petite Princess toy store display. Want to know how small 1:144 scale is? Well typical dollhouses are 1:16 scale. So this mini-mini replica is 9 times smaller!